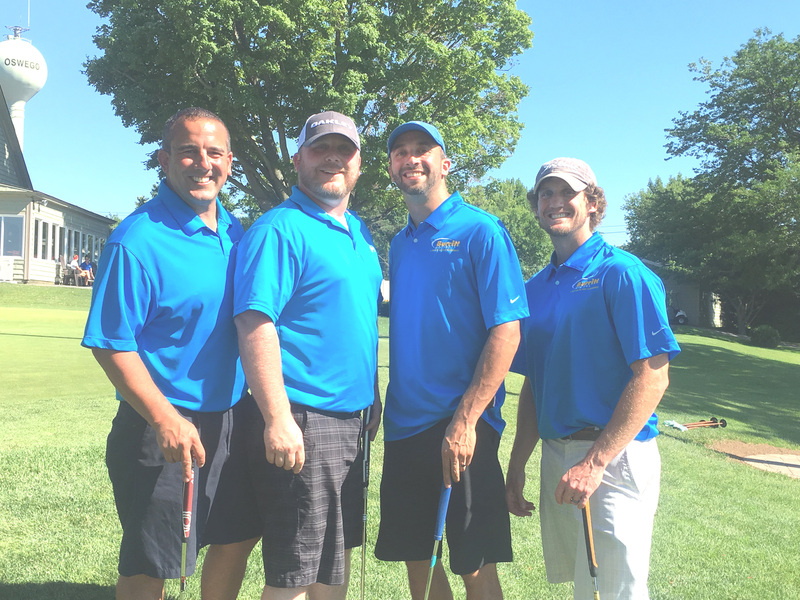 Fulton, NY – Sunny skies and warm weather greeted golfers for the United Way of Greater Oswego County’s Annual Golf Tournament. Held at the Oswego Country Club the tournament featured two complete tournaments; a morning flight and an afternoon flight. The team from Exelon Generation carded an impressive 14 under score of 57 to capture first place in the morning flight by just one stroke over the Eagle Beverage team that finished second with a score of 58. Skins winners in the morning flight included Eagle Beverage, team 2 on holes #8 and #15, the AAPEX team on hole #8 and the Key Bank team on Hole #15. Burritt Motors team captured first place in the afternoon flight with an impressive score of 58. Team TuPuc262 shot 62 to finish second. Skins winners in the second flight included the Community Bank team on hole #1 and the Huhtamaki team on hole #2. Both teams donated their winnings to United Way. Eagle Beverage, Bosco’s Food Market, the Beacon Hotel, Frito-Lay, Pepsi Beverages Co., Kinney Drugs Foundation, and Planned Results. We are very appreciative of their support and their commitment to United Way,” added McGrath. 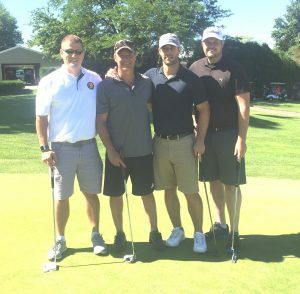 Cut line for Burritt Team Photo: The Burritt Motors team carded a 58 to capture first place in the afternoon flight of the United Way of Greater Oswego County’s Annual Golf Tournament held recently at the Oswego Country Club. Pictured from above are team members Allen Occhino, Jesse Eckhard, Rich Burritt, and Ryan Hawthorne. Major sponsors for the United Way Golf Tournament included Burritt Motors, Exelon Generation Nine Mile Point Nuclear Station and James A. Fitzpatrick Plant, National Grid, and Novelis. Cut line for Exelon Team Photo: The Exelon Generation team carded a 57 to capture first place in the morning flight of the United Way of Greater Oswego County’s Annual Golf Tournament held recently at the Oswego Country Club. Pictured from above are team members Jeremy Kerling, Joe Benzing, Eric Davies, and Shawn Baldwin. Major sponsors for the United Way Golf Tournament included Burritt Motors, Exelon Generation Nine Mile Point Nuclear Station and James A. Fitzpatrick Plant, National Grid, and Novelis.